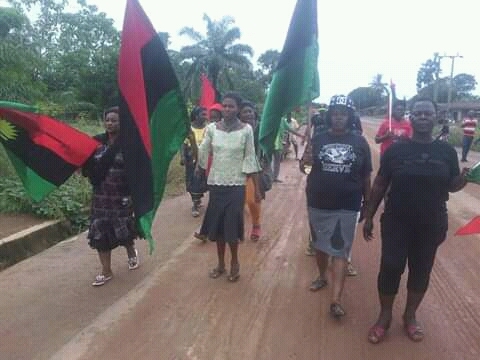 THE Indigenous People Of Biafra (IPOB) Ebonyi state women department on Monday 6th November, 2018 took to the Street of Igboji in Ikwo LGA Ebonyi state, sensitizing the people on the need to join IPOB in the struggle to restore Biafra. Ogbuka Franklin who filed in the report says that the reactions from the people was so encouraging as they promised to invite them in no distant time for family units and zonal inaugurations in the area. 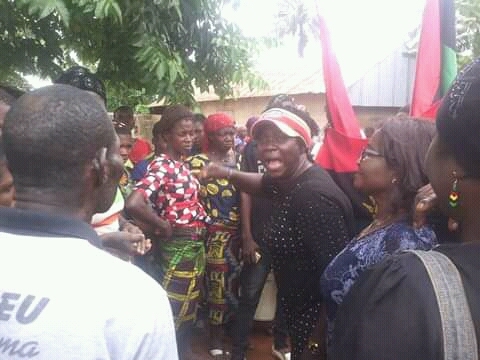 Evangelist Mrs Chioma Iwuala the women leader IPOB Ebonyi state led the team of the Evangelism squad. Recall that the women department of IPOB in Ebonyi state Abakaliki province launched OPERATION TELL YOUR NEIGHBORS, aimed at taking the gospel for Biafra restoration down to the nooks and crannies of the state both in the urban and rural areas. 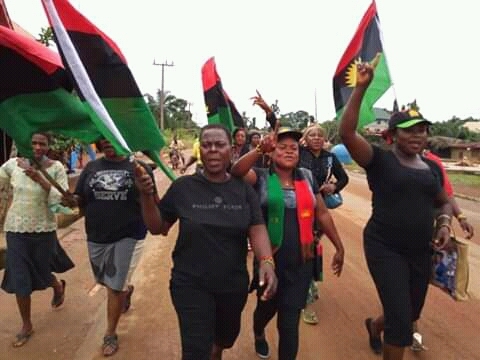 The women have gone for evangelism in several places within and outside Ebonyi state capital to inform and educate the people on what is happening in the quest for Biafra restoration anchored by IPOB led by Mazi Nnamdi Kanu. 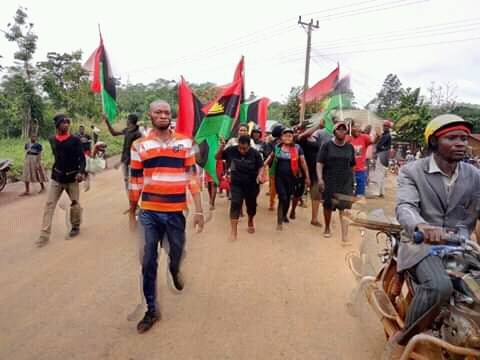 They have equally planned on taking the evangelism and sensitization outreach to other parts of Ebonyi state, to make sure that all parts of the state both rural and urban areas are captured and established with IPOB family units. The people of Ebonyi state has fully come out to identify with the struggle to restore Biafra.